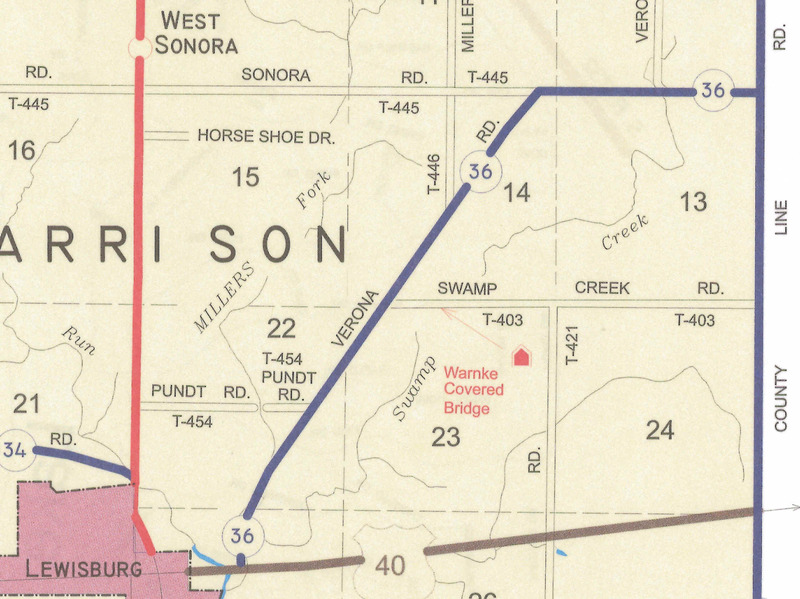 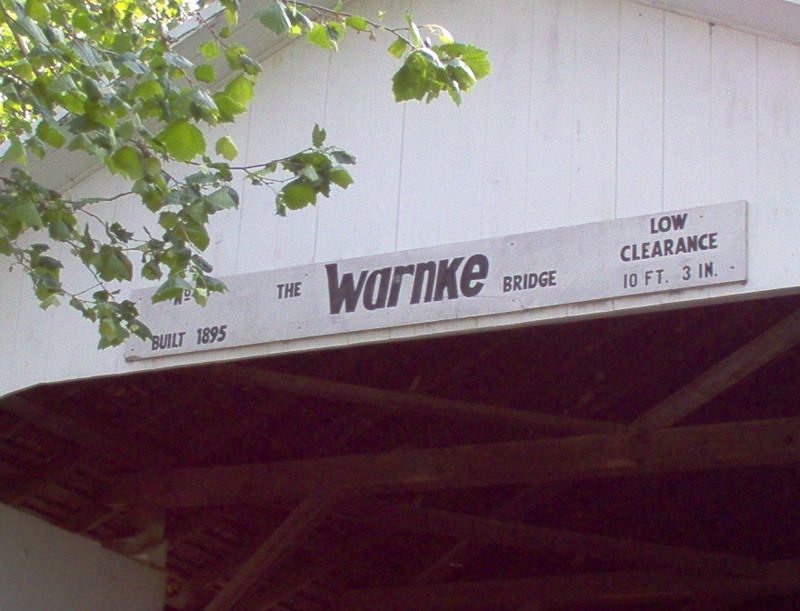 Warnke Bridge was at one time a steel truss bridge that crossed Swamp Creek, but in the flood of 1895 it was badly damaged. 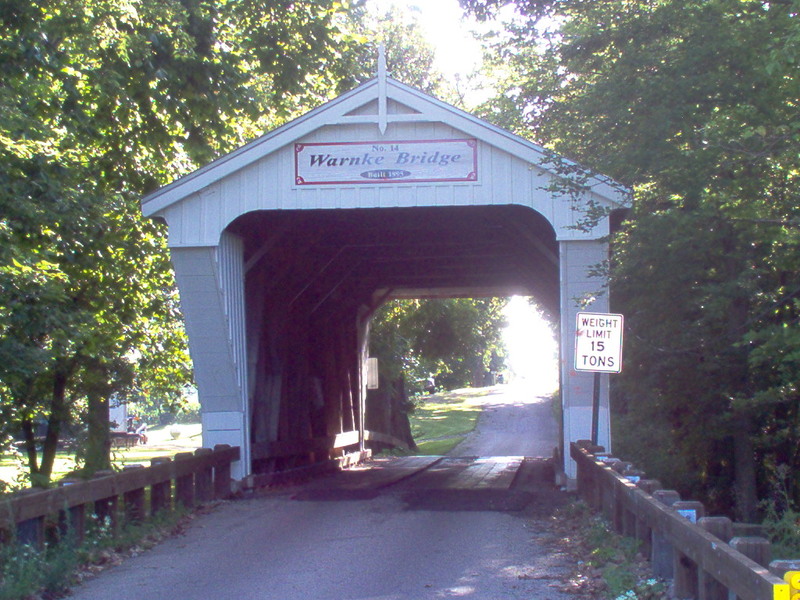 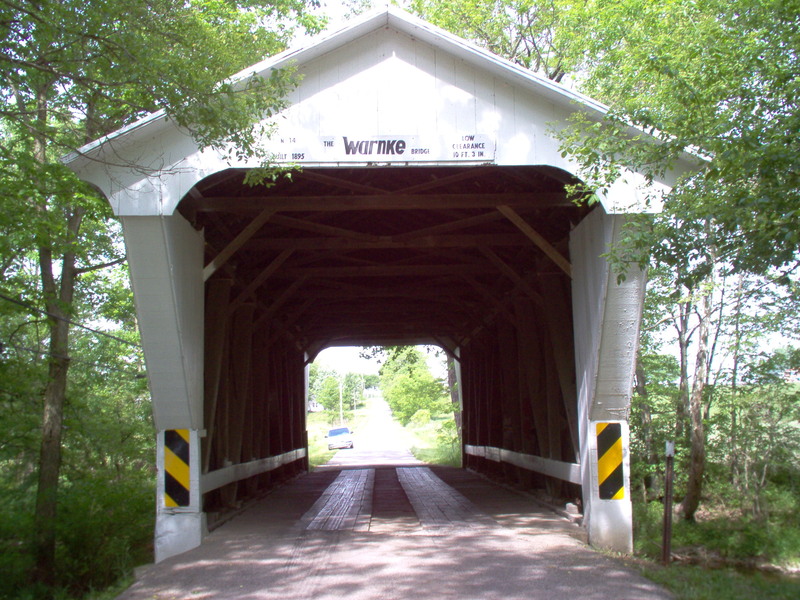 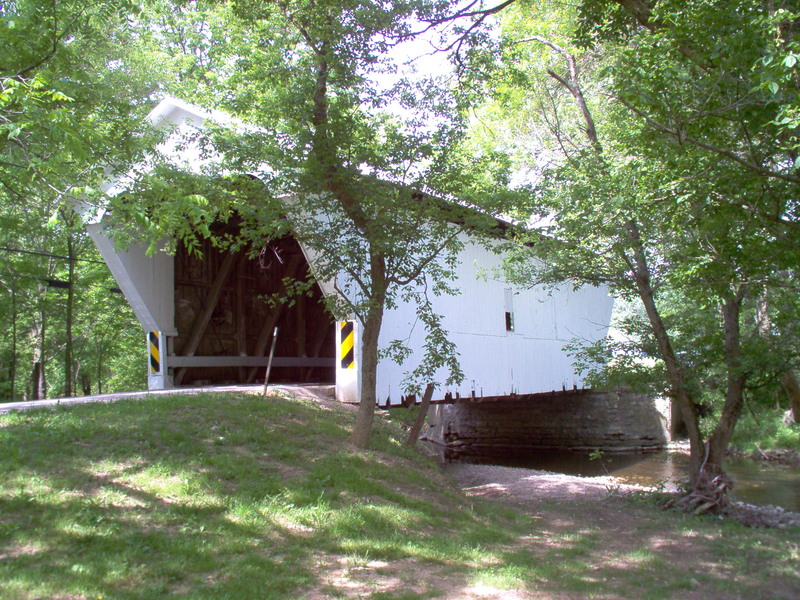 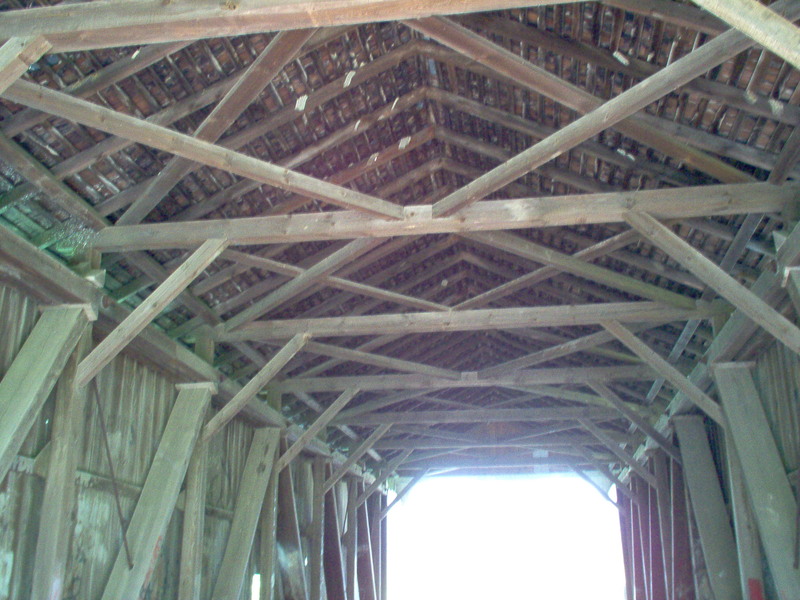 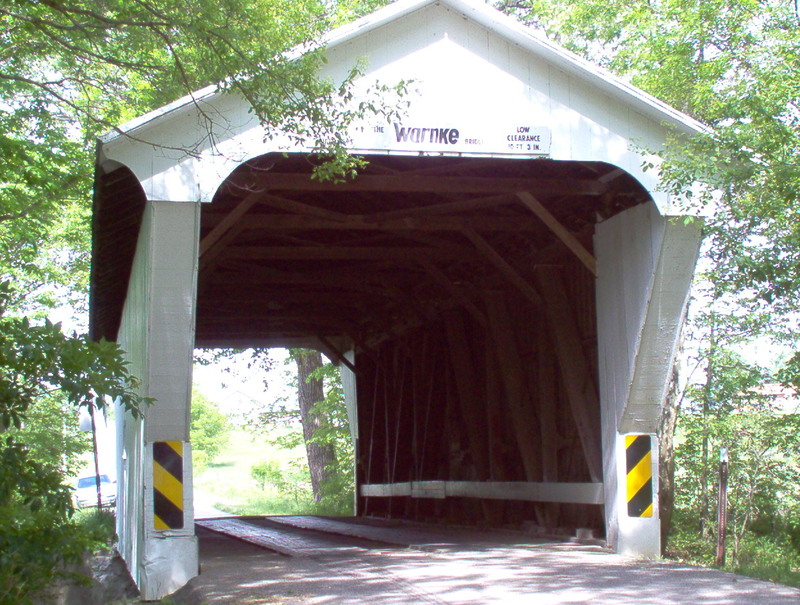 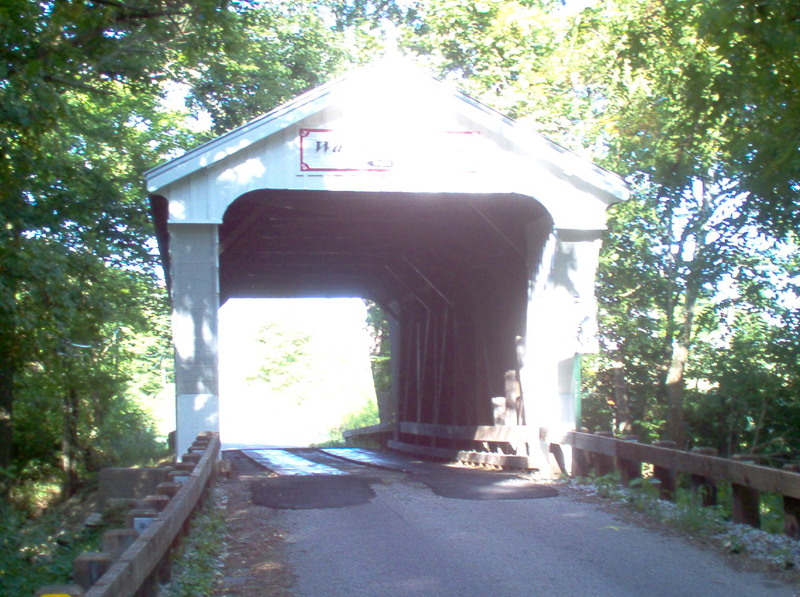 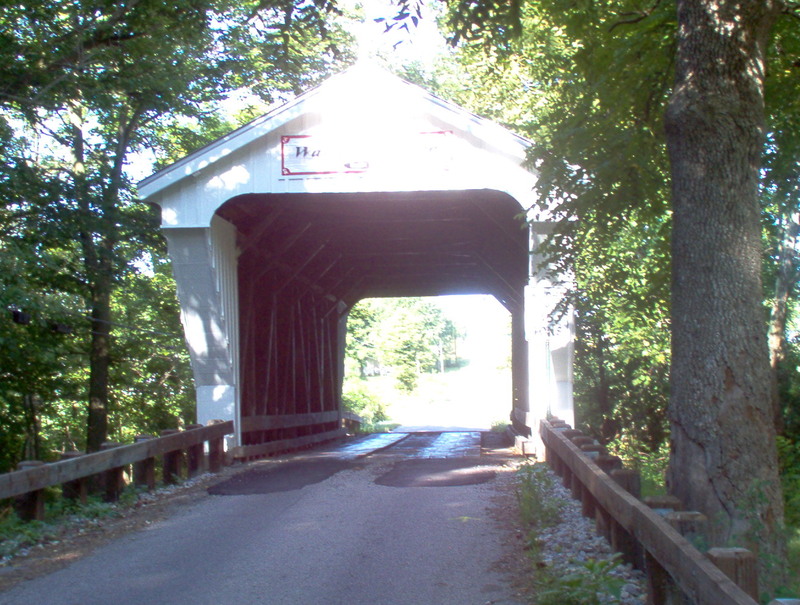 E. S. Sherman was hired to “repair” the bridge by completely replacing it with a Childs Truss covered bridge. 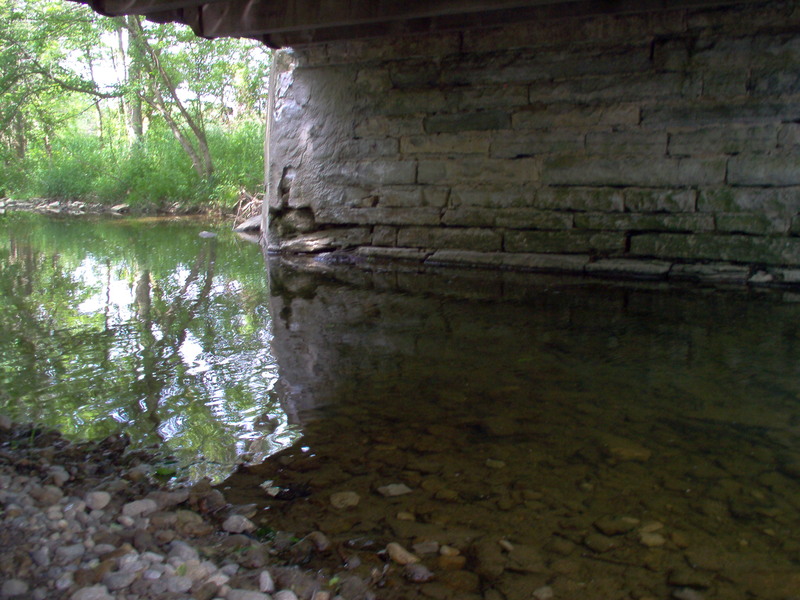 At the Lewisburg quarry Stock and Douglass obtained the stone to build the abutments for $464.00. 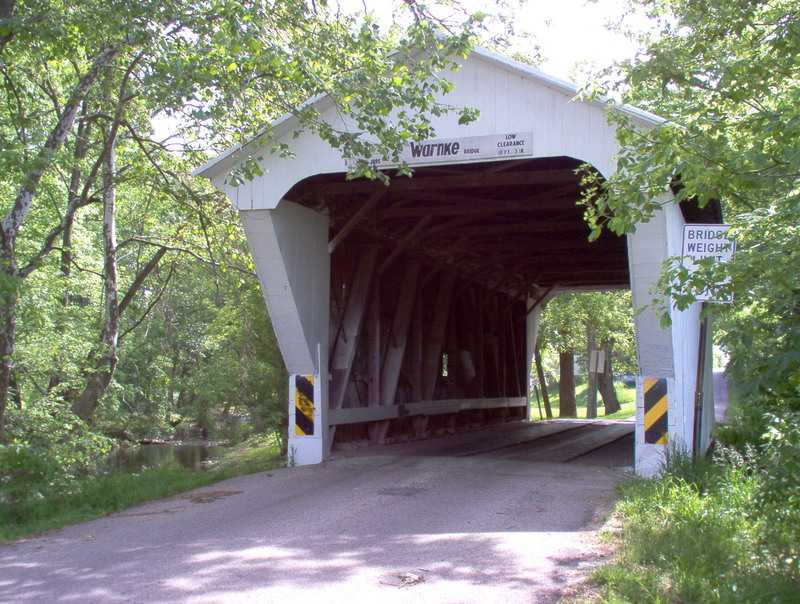 E. S. Sherman had to clean out his bridge yard, which resided on North Maple Street in Eaton, just to get the material for the 51 foot structure. 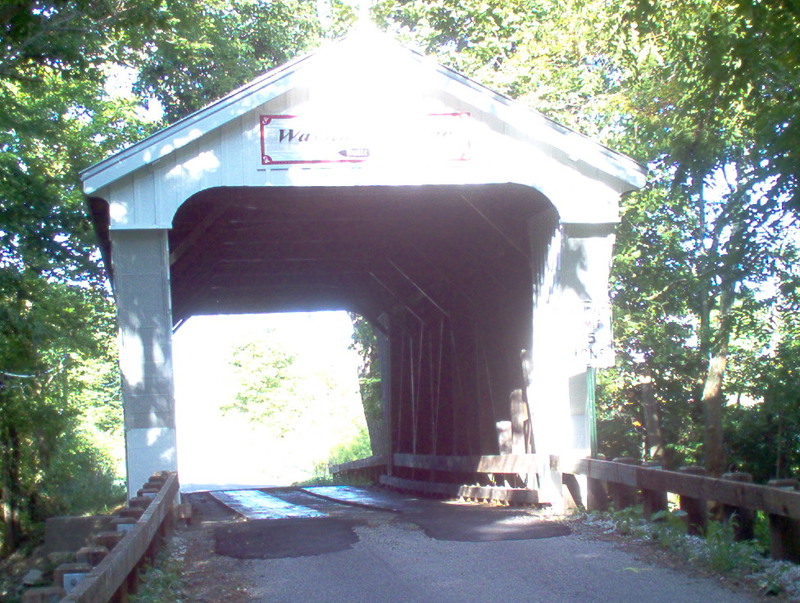 It was finished in early 1896 and cost $459.00. 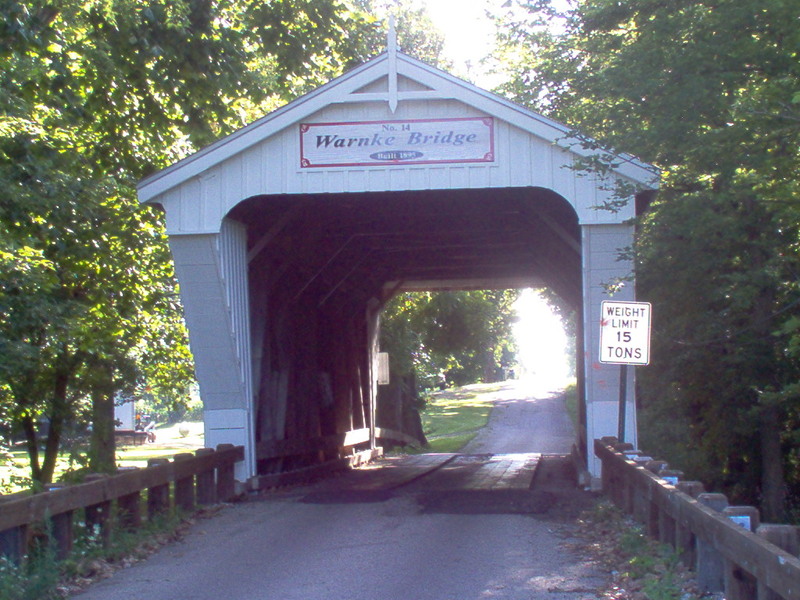 Sherman, with his failing health, after this bridge was completed, moved to Richmond, Indiana where he soon passed away. 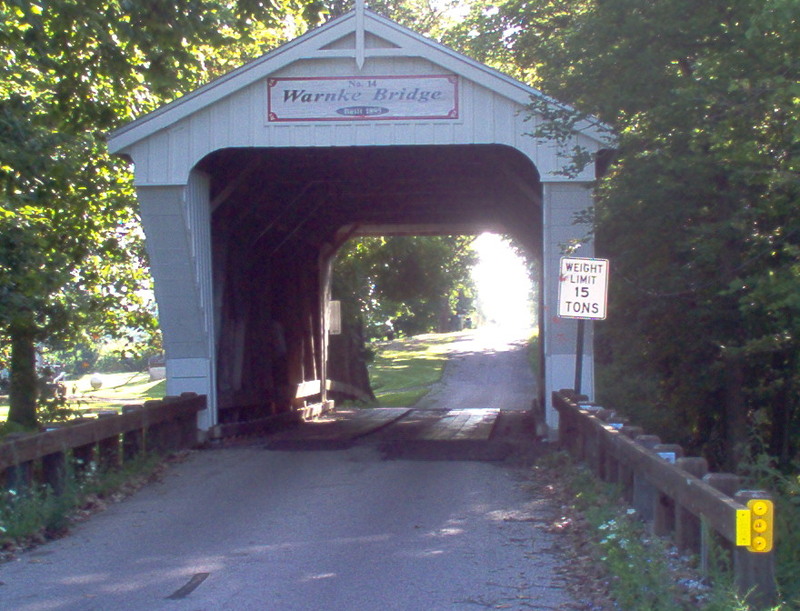 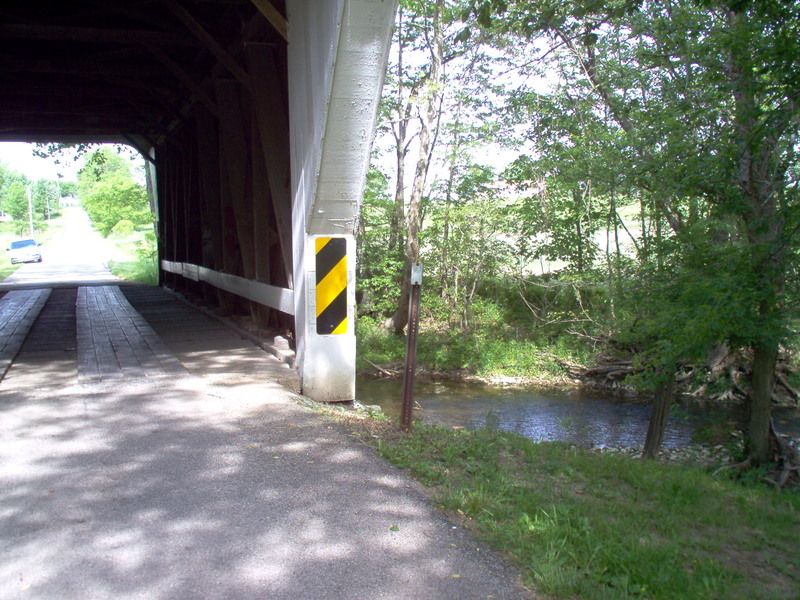 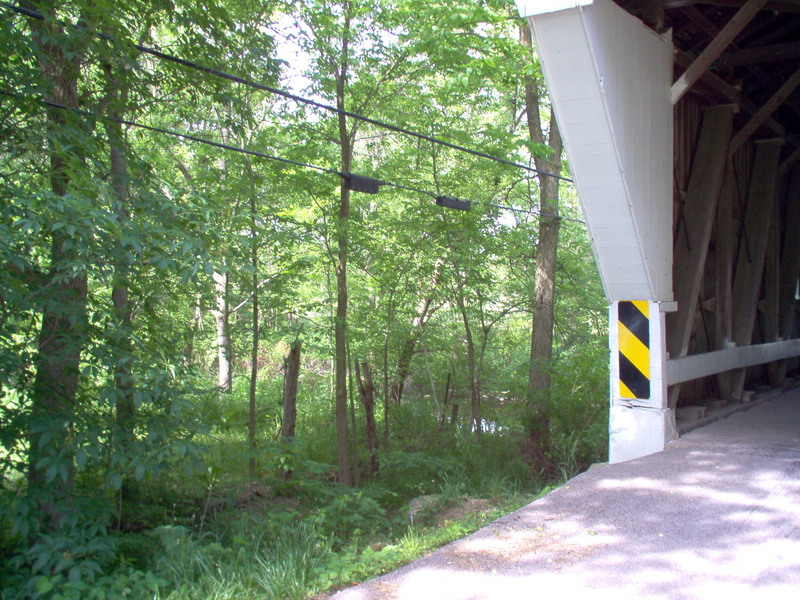 Rehabilitation for Warnke bridge began in April 2008 and was completed in July 2008 at a cost of $240,924.25. 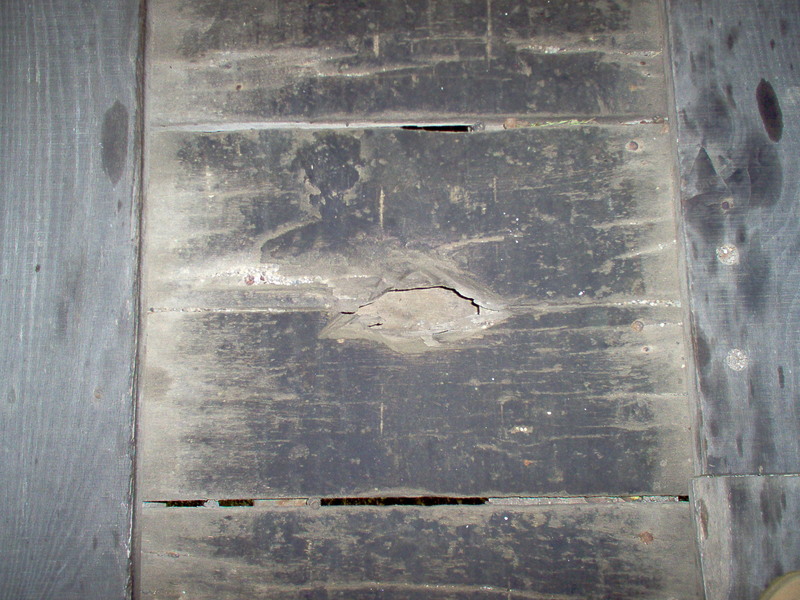 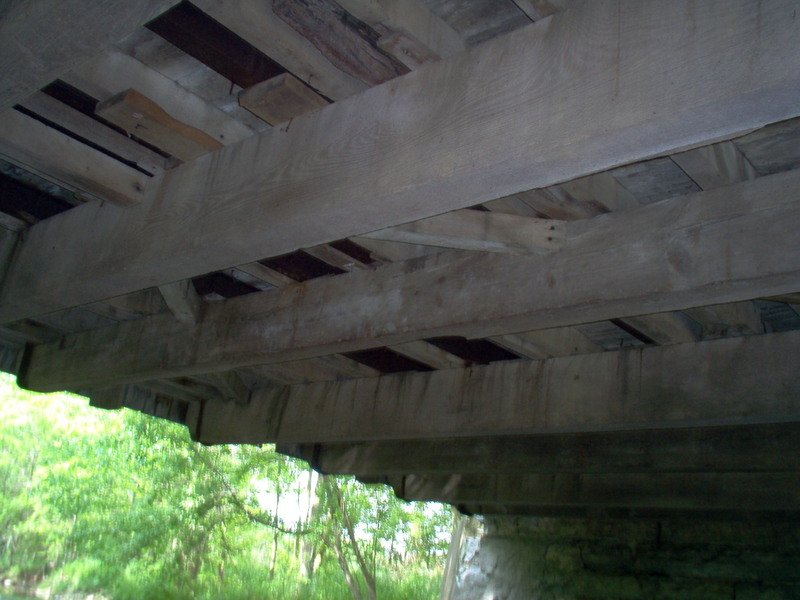 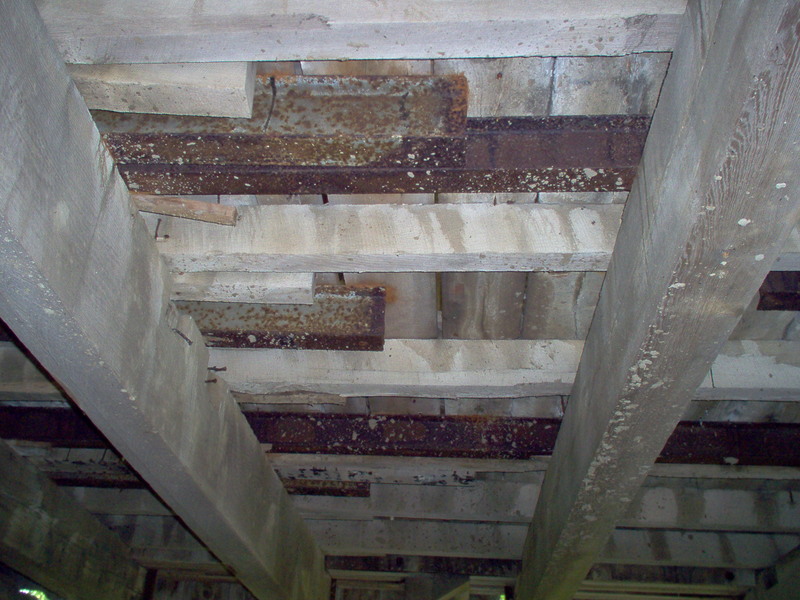 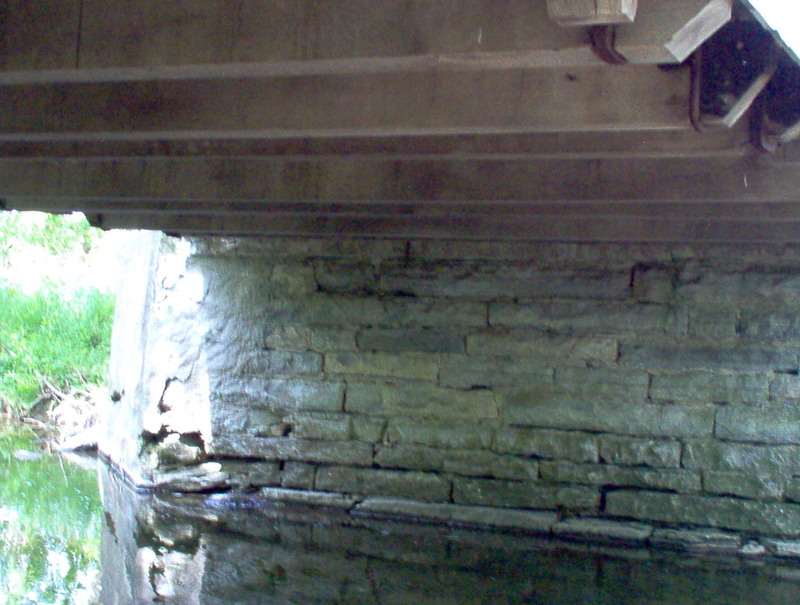 Bridge inspections showed deterioration of this structure requiring extensive repairs to keep the bridge as an active and working bridge.